Your device uses a SIM card to provide you with access to your wireless service provider’s 4G LTE cellular network. 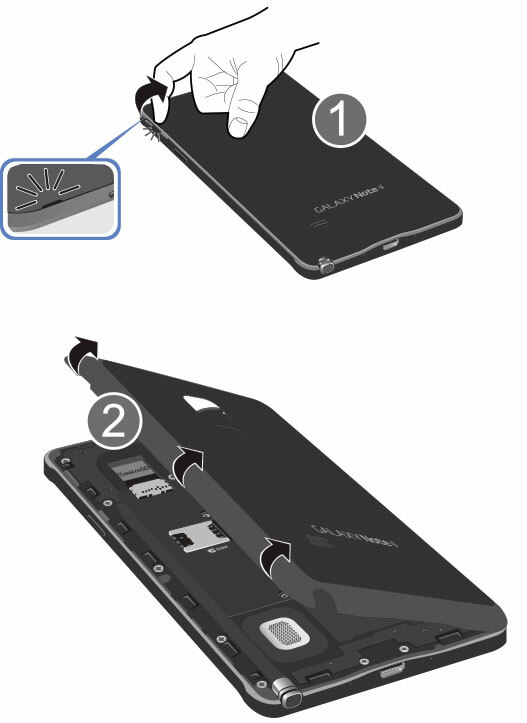 Important: The SIM card information and its contacts can be easily damaged by scratching or bending, so be careful when handling, inserting, or removing the card. Keep all SIM cards out of reach of small children. 2. Remove your device's battery. 3. 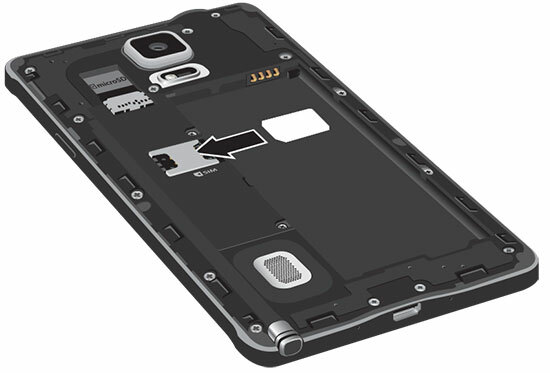 Carefully slide the SIM card into the SIM card slot. Note: Make sure the card’s gold contacts face the device and the angled corner of the card is positioned correctly. If the SIM card is not inserted correctly, the device will not detect it. Reorient the card and slide it back into the slot. 4. 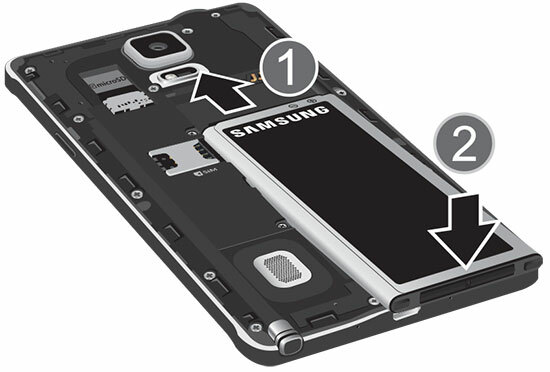 Insert the battery into the opening on the back of the device, making sure the contacts align (1). 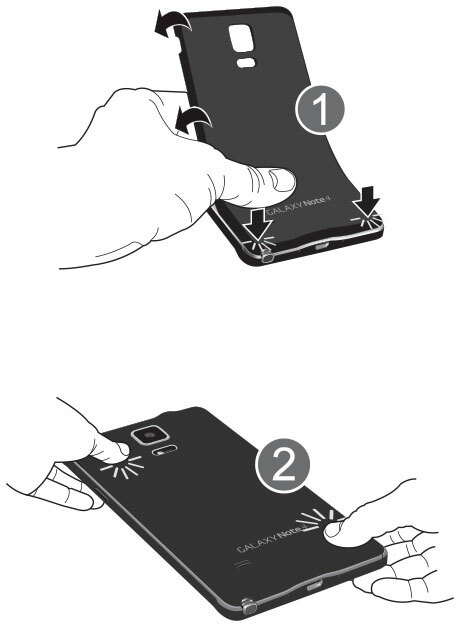 Gently press down to secure the battery (2). 5. Replace the back cover (1). Press along the edge of the back cover until you have a secure seal and it clicks into place (2).